Sponsoring a DrupalCamp is Not About the Return on Investment (ROI). Organizing a DrupalCamp takes a lot of commitment from volunteers, so when someone gets motivated to help organize these events, the financial risks can be quite alarming and sometimes overwhelming. But forget all that mess, you are a Drupal enthusiast and have drummed up the courage to volunteer with the organization of your local DrupalCamp. During your first meeting, you find out that there are no free college or community spaces in the area and the estimated price tag is $25,000. Holy Batman that is a lot of money! Naturally, you start thinking about how we are going to cover that price tag, so you immediately ask, “how many people usually attend?” Well unless you are one of the big 5, (BADCamp, NYCCamp, Drupal GovCon, MidCamp or FloridaCamp) we average between 100 and 200 people. Then you ask, “how much can we charge?” You are then told that we cannot charge more than $50 because camps are supposed to be affordable for the local community and that has been the culture of most DrupalCamps. If Drupal is the Enterprise solution why are all of our camps priced and sponsored like we are still hobbyist in 2002? Why Don’t We Treat DrupalCamps Like It’s the Enterprise Solution? If a camp roughly costs $25,000 and you can only charge 150 people $50, how in the world are DrupalCamps produced? The simple answer, sponsors, sponsors, and more sponsors. Most camps solely rely on the sponsors to cover the costs. 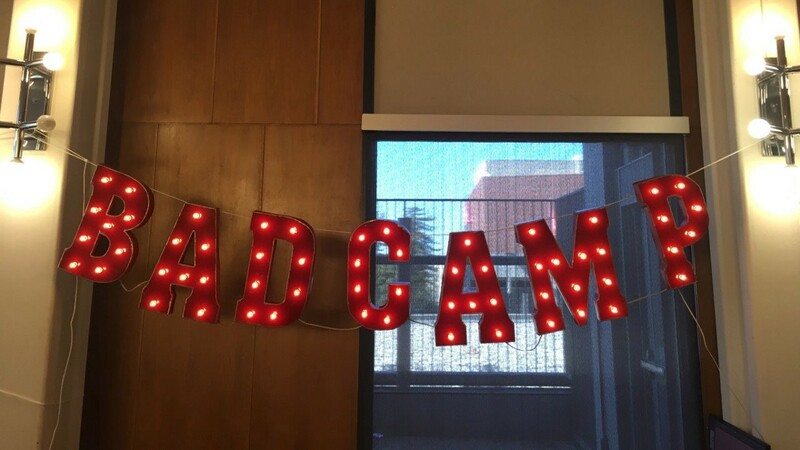 One camp, in particular, BADCamp has roughly 2,000 attendees and the registration is FREE. That’s right, the camp is completely free and did I forget to mention that it’s in San Francisco? Based on the BADCamp model and due to the fact the diamond sponsorship for DrupalCon Nashville was $50,000, getting 10 companies to sponsor your camp at $2,500 will be no sweat. Oh and don’t forget Drupal is the enterprise solution, right? With all of your newfound confidence in obtaining sponsorships, you start contacting some of the larger Drupal shops in your area and after a week nothing. You reach out again maybe by phone this time and actually speak to someone but they are not committing because they want some more information as to why they should sponsor the camp such as, what other perks can you throw in for the sponsorship, are we guaranteed presentation slots, and do you provide the participant list. Of course, the worst response is the dreaded no, we cannot sponsor your conference because we have already met our sponsorship budget for the year. At this point, you feel defeated and confused as to why organizations are not chomping at the bit to fork over $2,500 to be the sponsor. Yep, that’s right, twenty-five hundred, not $25,000 to be the highest level, sponsor. Mind you many Drupal shops charge anywhere between $150 — $250 an hour. So that means donating 10–17 hours of your organizations time to support a Drupal event in your local community. Yes, you understand that there are a lot of DrupalCamps contacting the same companies for sponsorship so you ask yourself, what has changed from years past? Are you interested in attending the first online DrupalCamp Organizers Meeting, on Friday, November 9th at 4:00 pm (EST)? RSVP Here. What Do Companies Expect to Gain From DrupalCamp Sponsorships? At DrupalCon Nashville, I got an awesome opportunity to participate in a session around organizing DrupalCamps. It was really interesting to hear about how other organizers produce their camp and what were some of the biggest pain points. 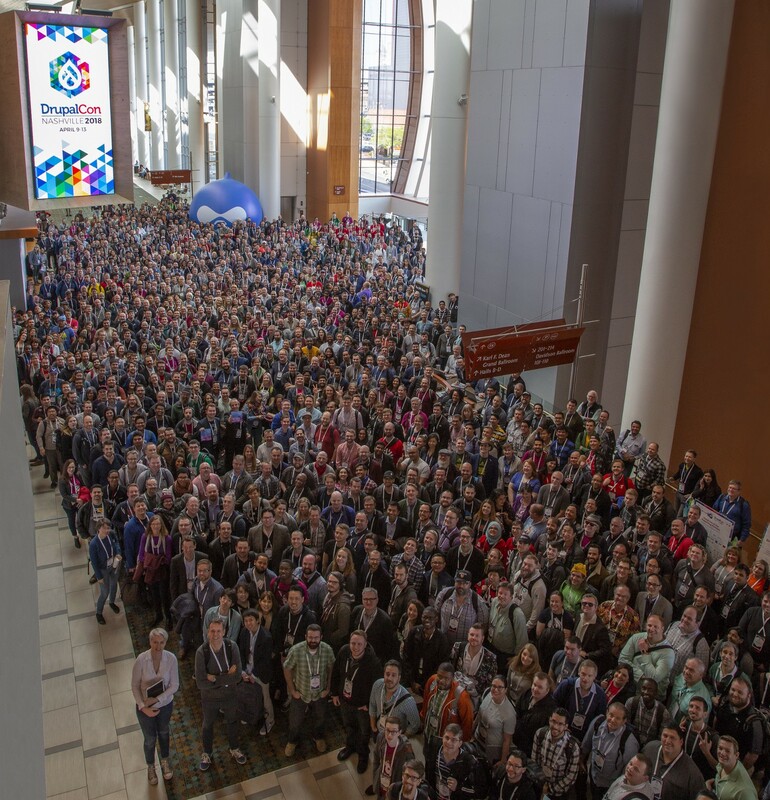 Have Drupal Companies Outgrown the Need to Sponsor DrupalCamps? On the plane ride back to the ATL it got me thinking, why does an organization sponsor DrupalCamps? What is the return on their investment? I started reminiscing of the very first DrupalCamp that I attended in 2008 and all the rage at that time (and still is), was inbound marketing and how using a content strategy and or conference presentations can establish your company as thought leaders in the field, therefore, clients will find your information useful and approach you when its time to hire for services. Maybe this is why so many camps received a ton of presentation submissions and why it was easy to find sponsors, but that was over 10 years ago now and some of those same companies have now been established as leaders in the field. Could it be, that established companies no longer need the visibility of DrupalCamps? What happens to DrupalCamps when companies no longer need the visibility or credibility from the Drupal community? The Drupal community thrives when Drupal shops become bigger and take on those huge projects because it results in contributions back to the code, therefore, making our project more competitive. But an unintended consequence of these Drupal shops becoming larger is that there is a lot more pressure on them to raise funding thus they need to spend more resources on obtaining clients outside of the Drupal community. Acquia, the company built by the founder of Drupal, Dries Buytaert, have made it clear that they are pulling back on their local camp sponsorships and have even created their own conference called Acquia Engage that showcases their enterprise clients. Now from a business perspective, I totally understand why they would create this event as it provides a much higher return on their investment but it results in competing with other camps (ahem, this year’s DrupalCamp Atlanta), but more importantly the sponsorship dollars all of us depend on are now being redirected to other initiatives. Why Should Established Companies Sponsor a DrupalCamp? When sponsoring these DrupalCamps most of us organizers do a pretty good job of tweeting thanks to the company and if the organization has presenters we usually promote the sessions as well. In addition, most camps print logos on the website, merchandise, and name after parties. Yes, its only a little bit but the internet is forever and the more you are mentioned the better off you are. But you are from a well established Drupal shop so you don’t need any more visibility. Even the companies who are have been established need their staff to be credible. There will always be some amount of turnover and when that happens your clients still want to know if this person is talented. And if your company is new, being associated with Drupal in your local community does provide your company a sense of credibility. I saved the best for last. Collegiality is highly overlooked when looking at sponsoring camps. Most companies have a referral program for new hires and when the time comes for you to hire, people tend to refer their friends and their professional acquaintances. There is no better place to meet and interact with other Drupalist than a DrupalCamp. What about employee engagement? In a recent focus group I participated in with a Drupal shop, many of the staff wanted more opportunities for professional development. These local camps are affordable and can allow staff to attend multiple events in a year when you have small budgets. I must end by saying, that there are so many great Drupal companies that I have had the pleasure to work with and if it were not for the Acquia’s of the world Drupal wouldn’t exist. I understand that CEO’s are responsible for their employees and their families so I don’t want to underestimate the pressures that come with making payroll and having a client pipeline. The purpose of this post was to explain how it feels as a volunteer who is doing something for the community and the frustrations that sometimes come with it.